Delivering audit-ready contract compliant #Hiring #BackgroundChecks since 2001. P.I. Licensed and Leader in Background Screening Innovation. 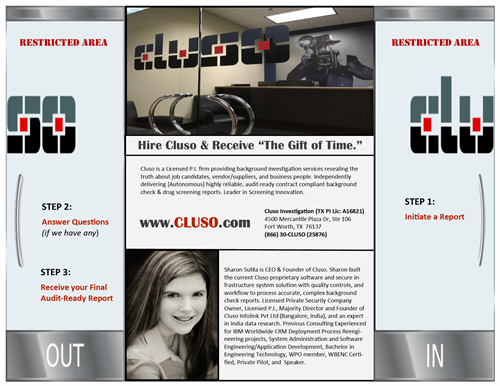 Hire Cluso, and experience ''The Gift of Time.'' You simply initiate a background check, answer any questions (if we have any), and receive a complete, audit-ready contract compliant report. 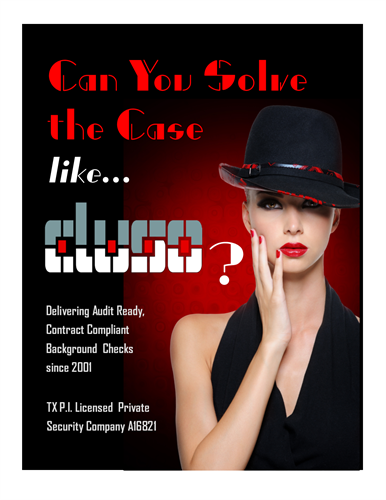 Inside Cluso we work for you by managing and conducting the background check using expert investigators. 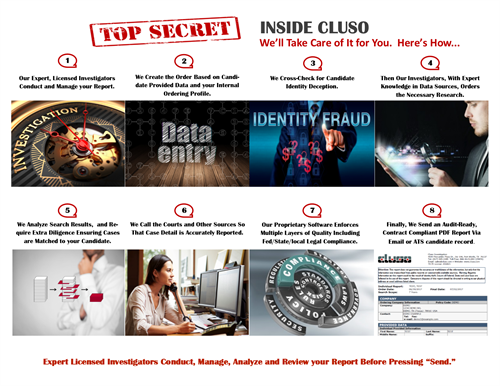 Cluso automatically checks for candidate identity deception [alters the course of the background check as needed], analyzes the data, and calls to the courts (and other sources) to ensure an accurate, reliable report is delivered. 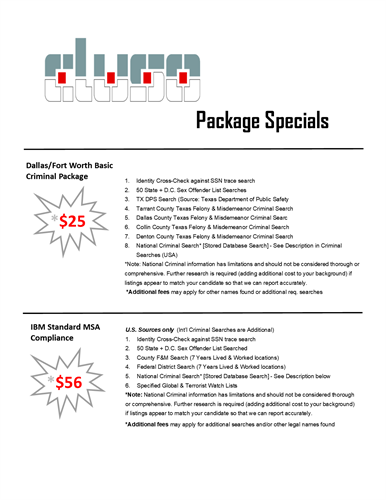 Check out our DFW area criminal package for $25 (Our Gallery) or ''Dallas/Fort Worth Area Package Deals'' at www.cluso.com\rates. Let us check for deception so that you can solve mysteries for fun.